Help reduce ocean pollution for Earth Day. Discover easy ways to reduce plastic use in your home. Simply swap out your favorite plastic products with these eco-friendly options for an easy transition into green living. If you’re looking for easy ways to reduce plastic use and go green, then check out these eco-friendly product swaps. Not only are these product substitutions environmentally friendly solutions, they also save you money over time. Keep reading to learn why reducing plastic waste is so important to our environment. And discover my favorite plastic-free products. I’ll admit I’ve always loved straws.They keep the acids from acidic drinks (like orange juice) from coming in contact with my teeth. They also help to reduce staining from drinks like tea and iced coffees. And, as someone with sensitive teeth, I don’t have to worry about ice causing any pain or discomfort. Straws were no big deal. A normal part of life, they have always been a staple when dining out or enjoying a cocktail. Then one day, my friend Bambi who works with wildlife for her job, informed me I was Satan harming marine life through my continued use of straws. I googled it. Seeing a sea turtle with a 4″ straw stuck in its nose was pretty heartbreaking. And I felt bad. Just not quite bad enough to actually do anything about it. I mean, straws are everywhere! I certainly don’t buy them. However they’re practically thrown at you in restaurants. So I didn’t see the harm in using a straw that had already been torn open on the bottom. And those tiny straws are always thrown in with my gin and tonics when they’re made. Bartenders are busy people. So requesting they omit the straw has a 50/50 chance of actually happening. And then came the new story about the whale who slowly starved to death, suffering from dehydration and hunger because he’d consumed so much plastic waste. Plastic that doesn’t biodegrade. Plastic that ends up in our landfills and in our oceans. When I actually took the time to research how plastic was harming our marine life and polluting our oceans (despite recycling efforts) I was horrified. And that was the push I needed. My mom and I had lunch the other day at a Greek restaurant. I politely returned the unopened straw. My mother, on the other hand, did not. She gave me the “I know, I know but I need my straw. I’m waiting for them to come out with paper ones.” At least she acknowledged the harm plastic has on marine life. But like most of us, change can be slow and difficult if we’re stuck in our ways. 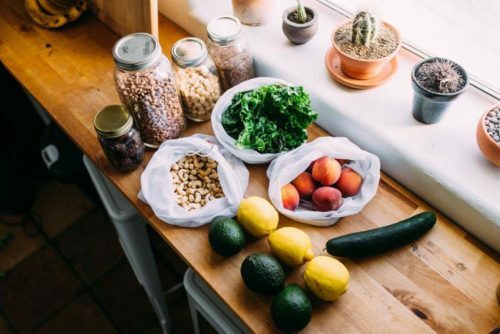 If you’re looking for ways to reduce your plastic use, you can make the transition easier by substituting some of your favorite plastic products with easy reusable eco-friendly product swaps. Not only are they not going into a landfill (or our oceans) they actually save you money in the long run as you aren’t buying disposable products over and over again. 90% of all plastics are NOT recycled. 5.25 trillion pieces of marine trash have ended up in our oceans. 90% of all seabirds have eaten plastic. This up from just 5% of seabirds in 1960. Between 2000 and 2010 we made more plastic than all the plastic in history up to the year 2000. Marine animals both ingest and get tangled up in plastic. This can lead not just to injuries but also painful deaths. 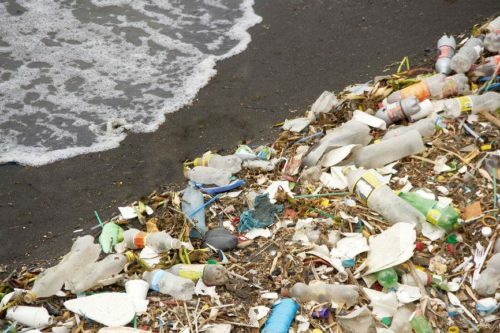 By 2050 the ocean will contain more plastic by weight than fish. Americans use 500 million plastic straws EVERYDAY. That’s enough to circle the Earth twice. An easy way to reduce plastic use in your home is to swap out plastic products with eco-friendly alternatives. 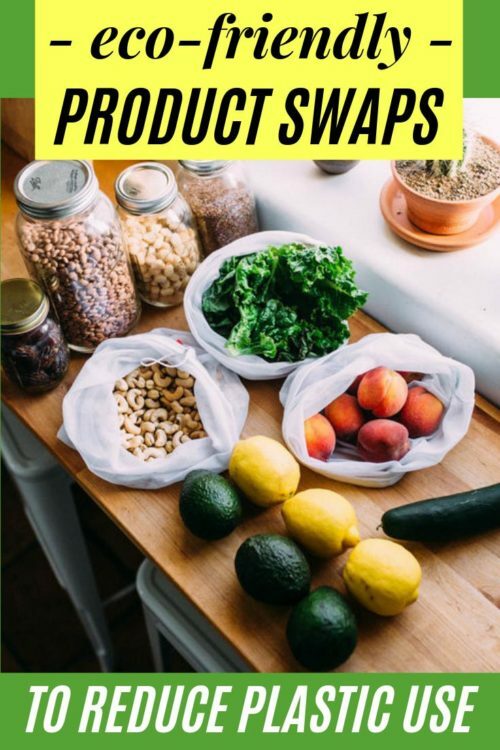 If you’re ready to challenge yourself and reduce plastic use in your household, then try one or all of these easy product swaps. Ditch the plastic sandwich bags with reusable storage bags. Reusable food storage bags are just as convenient as their single-use counterparts. I love the Grove Collaborative Reusable Sandwich Bags. They’re heavyweight so they can handle just about anything you need a plastic zipper bag for and they come in a variety of sizes. Sustainably made from a food-safe, BPA and phthalate-free material, these reusable bags are leak-proof and super easy to clean. You can also use products like beeswax food wraps. 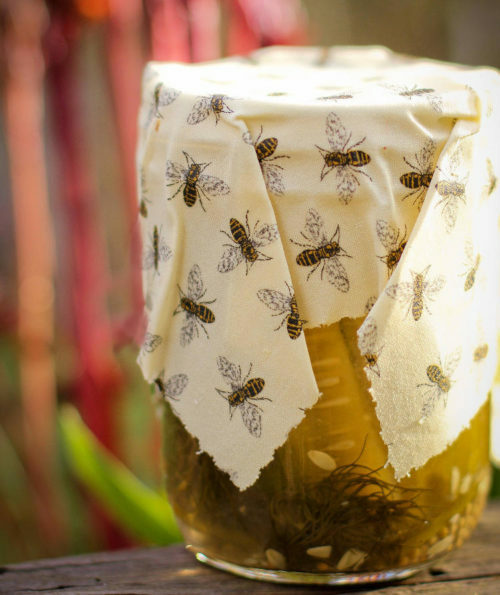 These beeswax wraps from Suzy’s Bees Wraps are a sustainable solution to your food storage and preservation needs. Made with a natural fiber base, Suzy’s Bees Wraps are infused with pure beeswax and easily mold to whatever container, dish, item or food item you need to cover. 16 billion disposable coffee cups that get thrown away every year. If you can’t live without your Starbucks coffee in the mornings, simply ask your barista to pour your favorite coffee into your own reusable insulated coffee cup. I live right beside a Starbucks and I see people asking for their refills in their own insulated tumblers almost everyday via the drive thru. I recommended purchasing two insulated mugs – one for the car and one to swap out while the other is being washed. If you’re like my mom and can’t live without straws, then this is probably the easiest product swap ever. You can buy compostable paper straws to keep in your car for when you go out to dinner at a restaurant. Or, if paper tastes gross to you like it does for me, bamboo straws or stainless steel straws are an easy fix. I love the stainless steel straws because I can buy them with soft silicone tips. I prefer the reusable straws over paper as they’re a one time purchase just like the drinking glasses in your home. 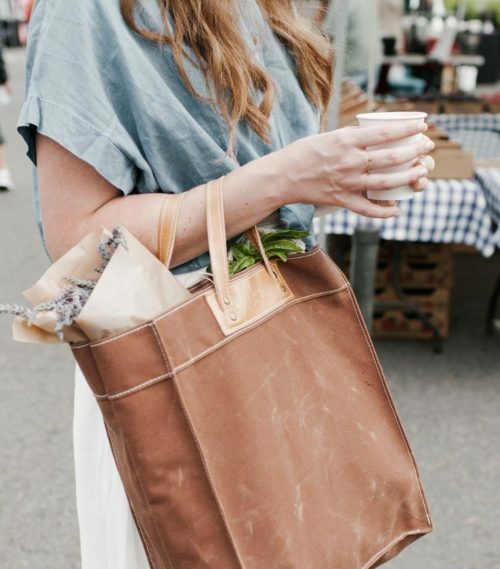 I love this durable waxed market bag from Thread & Canvas Co. in Seattle. It’s perfect for grocery store trips as swell as those seasonal trips to the farmers market. I plan to buy extra reusable shopping bags soon to add the ones I already have. This way I can keep a few in my car just in case I forget mine at home or make an unplanned trip to the store. Plastic bottles of household cleaners. Not only do most household cleaners come in ugly plastic bottles, they take up a lot of space under the sink. So I made the switch to glass spray bottles filled with cleaning concentrates. This will not only reduce your plastic consumption, but the bottles also look beautiful on your countertops. As you finish out the half-empty bottles under your sink, try swapping them out for a reusable glass bottle. Grove sells a full line of eco-friendly cleaning concentrates and glass bottles that are the perfect substitute. For a limited time you can get three Grove cleaning concentrates, a glass spray bottle, a cleaning caddy and walnut scrubber sponges FREE with your first Grove order of $20 or more. Redeem this offer now. It might not seem like much, but the plastic wrappers that our products come in can add up to a huge amount of waste. For example, paper towels almost always come wrapped in plastic. One way to avoid this waste is by reaching for microfibers or euro dish cloths instead of single-use paper towels. I purchased a dozen microfibers so I can get through a full week without needing to do laundry. I also have a serious crush on Grove’s European dish cloths. A reusable replacement for people who love paper towels, these durable cellulose and cotton dish cloths are as absorbent as a sponge. To clean, simply throw them into your dishwasher on the top rack when you wash dishes. Purchasing reusable paperless towels is also another great way to break your paper towel habit. 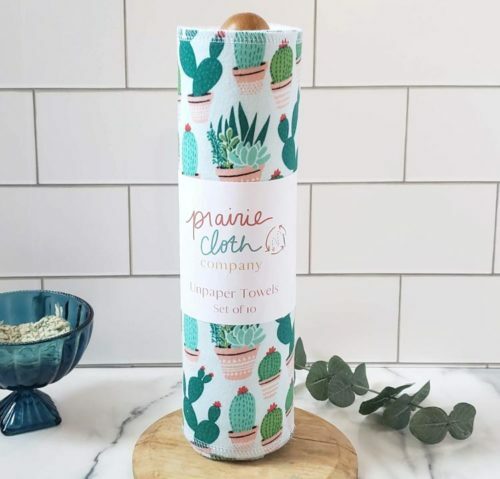 You can even get unpaper paperless towels on a roll, like these from the Prairie Cloth Company. You can also reduce plastic product packaging in your daily hair care routine. Making the switch to a solid shampoo bars (aka syndet bars) and conditioners. These solid shampoo bars work amazingly well (unlike past no poo hair care options made with soap.) They’re gentle on hair but also powerful enough to remove product build up while moisturizing and conditioning hair. More Ways to Reduce Plastic Use & Go Green. Shaving soap bars are also an eco-friendly beauty alternative that reduce waste. Learn how to make your own homemade shaving soaps to save money and help the environment. Learn how to make the best 3-ingredient natural cleaning clay for a long lasting household cleaner that works on glass stovetops, granite countertops and tile. Check out my collection of eco-friendly spring cleaning tips to make your household chores even easier. Try my zero packaging homemade stain remover soap bar recipe to treat laundry stains and wash delicates. Make your own natural cleaning products to completely eliminate those plastic bottles with this collection of eight eco-friendly cleaner recipes. Go green and save money with these frugal laundry tips. If you’ve already made the decision to go green and move toward a zero waste lifestyle, I’d love to hear about your favorite product swaps and ways to reduce plastic use. So be sure to share your ideas and eco-friendly solutions in the comments. For more great ideas for your eco-friendly lifestyle, be sure to check out my Eco-Friendly Lifestyle board on Pinterest. You can also find me across your favorite social media platforms including Blog Lovin‘, facebook, twitter and instagram so you never miss a post. Or sign up for my semi-weekly newsletter. Great article! It kills me to throw away plastic. We recycle as much as we can, and I try to reuse before they get recycled.